“Capitalism – the source of all the problems that we are experiencing,” – said the organizer of the march. MOSCOW, September 9 – RIA Novosti. 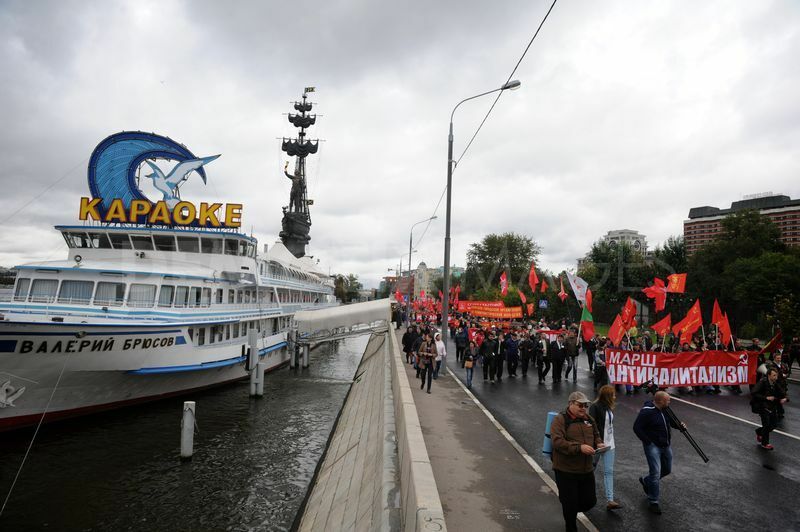 Anticapitalist march and rally on clearing in the center of Moscow collected about five hundred participants and members of the media and ended without incident, told reporters on Sunday at the press service of the Russian capital GUMVD. “In the march and rally in Polianka attended to 500 people, including members of the media, any disturbance of public order was not allowed,” – said the representative of the central board. He added that the event is over.